Will I be charged for calling these numbers? 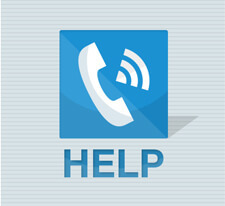 Need to contact your provider for technical support, or have a customer service query? On this page you’ll find a list of contact numbers and the opening times for both customer service and technical support for all the major providers, including Sky, BT and Virgin Media, and many of the smaller ISPs too. There may be a cost for calling tech support or customer service. Some providers use freephone numbers, otherwise you’ll be charged at the standard rate for that number. There may be different numbers depending on whether you're calling from a landline or mobile, or from abroad. Check the costs for each number and determine the cheapest way to contact your ISP. And if the enquiry is not urgent, email or live chat support can be used instead. The UK government guidance on call charges shows the approximate price for calling various numbers, but check with your phone provider to confirm the exact cost. Have you found that one of these numbers is wrong, or the information isn't quite right? We try to keep our site bang up to date, but bits of information still slip through the net. If you discover an inaccuracy, please email feedback so we can put it right. Thanks!